When I think of London, the first thing that comes to mind are the old historic buildings dotted throughout the city, such as: the Tower of London, Tower Bridge, Big Ben and St Paul’s. Or the ever-busy Piccadilly Circus and Leicester Square, where numerous red carpets events occur, because these are usually high on every tourist’s list. Just as the cosy old Covent Garden Market and Buckingham Palace are a must when visiting London for the first time. But what about the places that are hidden deep within the guidebooks, places not yet discovered by hordes of tourists but usually frequented by locals? After living in London for more than four years, I’ve learned to evade the crazy tourist traps in exchange for some (mostly) quieter areas. A beautiful park in North London, Hampstead Heath is a popular destination for Londoners. The park covers 320 hectare; inside, you’ll find yourself surrounded by trees, dirt paths and tranquil open spaces only a short tube ride away from busy London. 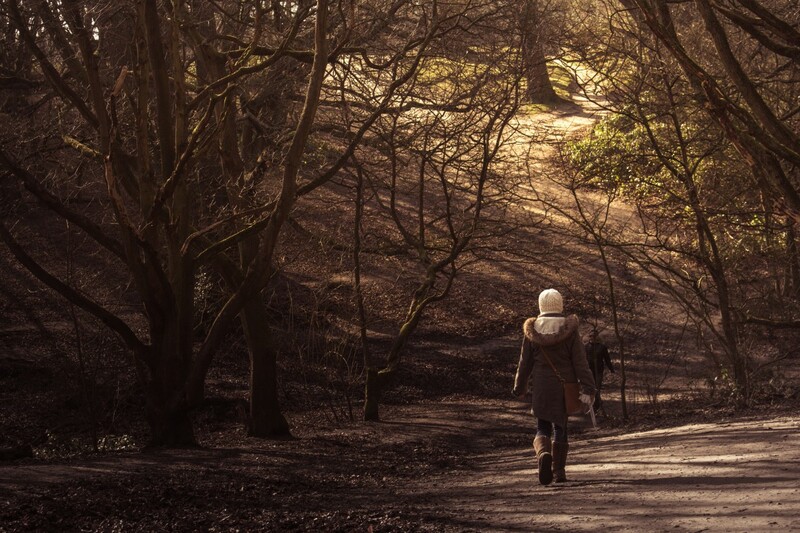 The big difference between Hampstead Heath and the more famous London parks (such as Hyde Park, Regent’s Park and Greenwich Park) is that Hampstead Heath feels like a forest, with its meandering dirt paths and small ponds, untouched by gardeners and landscape architects alike. If you decide to visit Hampstead Heath, please don’t make the same mistake I did by wearing your favourite boots. They will get dirty, especially if it’s been raining! Neal’s Yard is a small alley between Covent Garden and Leicester Square. You will see quite a few tourists walking around, yet it took me a few years to stumble into the alley. The houses surrounding the small square are all painted in different, bright colours, and some have quirky features on their facades. 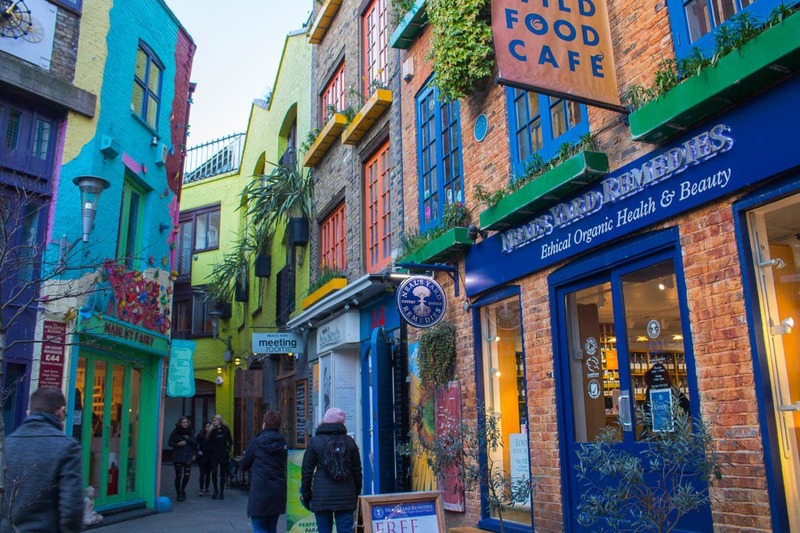 You’ll find a few restaurants here, but Neal’s Yard is mainly known for the couple of shops based here such as Neal’s Yard Remedies, a British retailer selling organic health and beauty products. You don’t need to spend too much time here, as walking through the alleyway is enough to get a feel for Neal’s Yard. I was sixteen when I visited London for the first time, and I found that St Katharine Docks had the biggest impact on me. The docks are situated right next to Tower Bridge and the Tower of London. They were once commercial docks but have since been transformed into housing complexes, retail shops and a few restaurants. Most tourists don’t venture farther than Tower Bridge, which is a shame, as the docks are the perfect place to relax, stroll around and check out the expensive yachts. 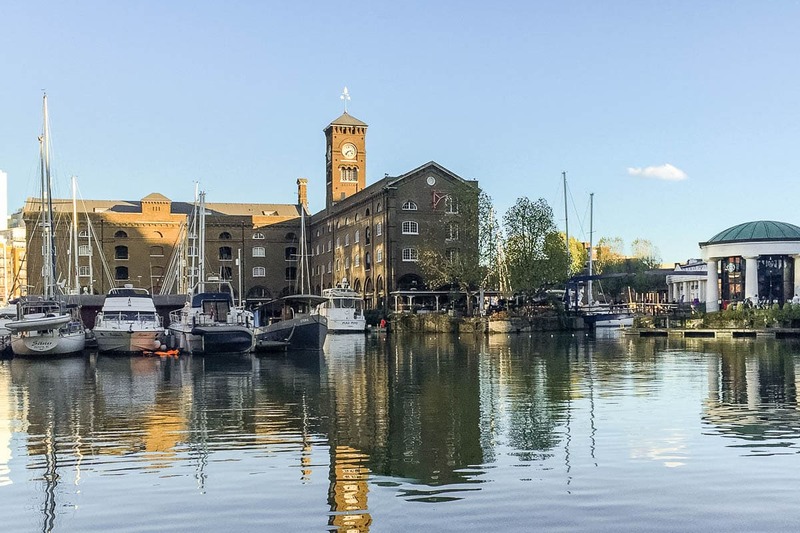 St Katharine Docks is quite an expensive area: on average, buying a flat there will set you back over £800,000. Make sure to have a drink or enjoy some delicious food at the Dickens Inn, a restored, 18th-century pub with a beautiful timber frame. There are several places to catch a glimpse of London, but you typically have to share the area with plenty of tourists. One New Change is a fairly new shopping centre and it’s great for shopping, especially if you want to avoid the stressful shopping experience at Oxford Circus, Regent’s Street and the Westfield shopping centres in Stratford and Shepherd’s Bush). It also has a large rooftop terrace with two bars and great views over St Paul’s Cathedral. You’re also able to glimpse the London Eye in the distance and the Shard, London’s tallest building. 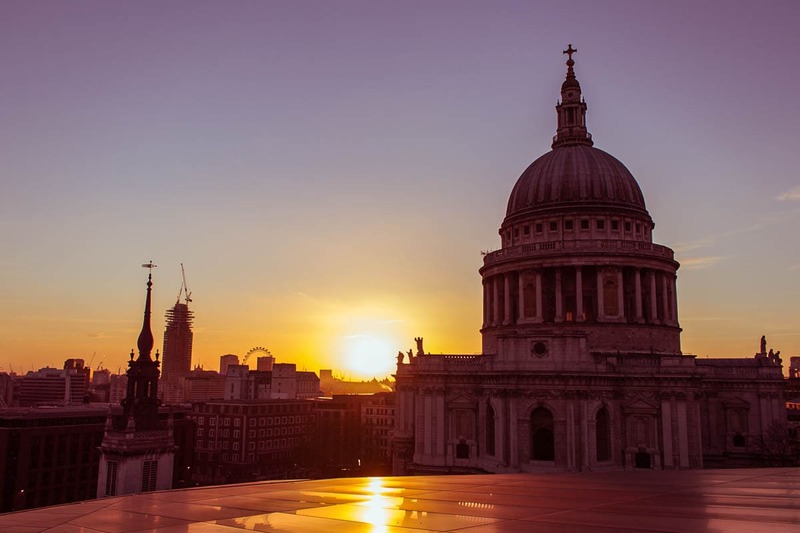 Make your way to One New Change at dusk to capture the sunset over London. 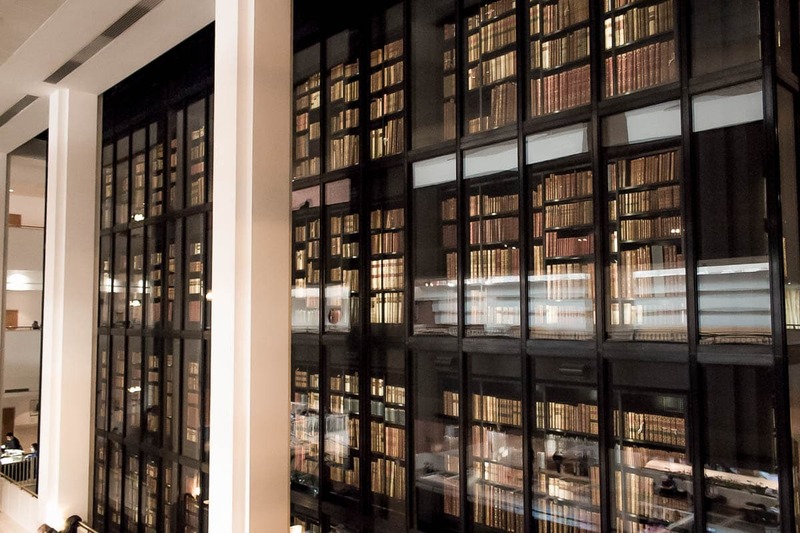 If you’re looking for a quiet and relaxed environment in the middle of busy London, the British Library is the place to go. It’s free to enter, and it usually runs several exhibitions, also free of charge. If you need to get some work done, there are several floors with seating, plugs and, of course, plenty of resources to call upon. There is free Wi-Fi available, and a restaurant and café can be found at the back of the enormous entrance hall. Once the residence of Henry the VIII (the one with six wives), Hampton Court is a dream destination for period and/or history lovers. The palace consists of several buildings and royal apartments, and is surrounded by beautiful well-maintained gardens. 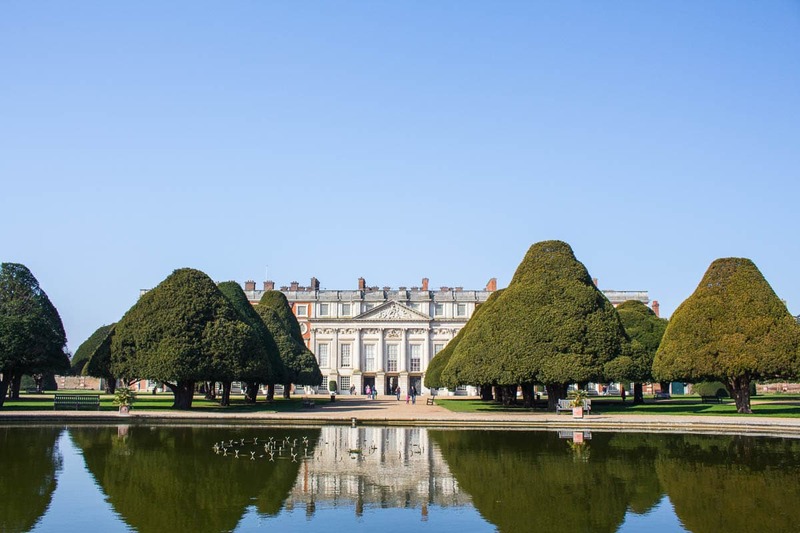 Only a short train ride from London, Hampton Court is a great place to visit on a sunny day. The maze of paths, corridors and rooms will intrigue you and makes you wonder about all the secrets the palace may still hold. If you don’t feel like mingling with the tourists at the London Zoo, there are a few alternatives scattered around the British capital. One of them is Mudchute Park and Farm. It is perhaps not as big and does not boast the more exotic animals that London Zoo has to offer, but it still provides a great day out. 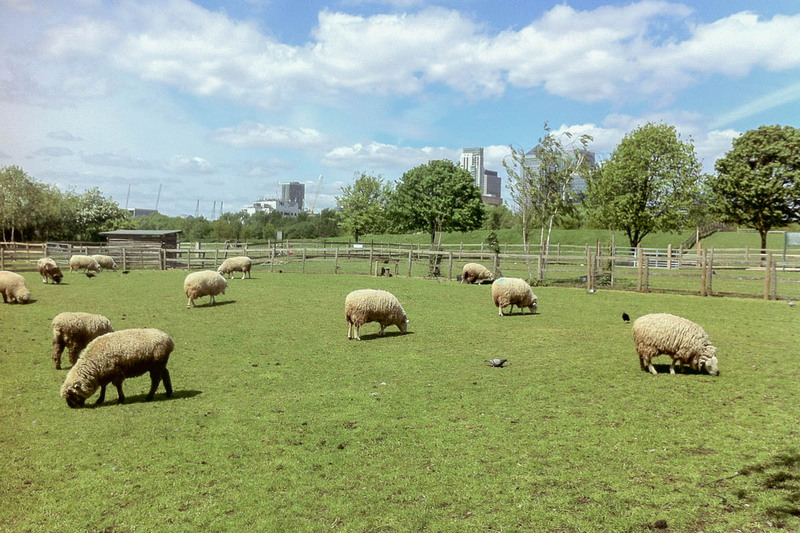 Mudchute primarily offers farm animals and covers 32 acres, with the high-rises of Canary Wharf set as its backdrop. Crystal Palace used to refer to the glass building first built in Hyde Park to house the Great Exhibition in 1851. The glass structure was relocated to Sydenham Hill where it was rebuilt. Unfortunately, the impressive glass building was destroyed by a fire in 1936. Today, you can only see remnants of the once great structure. The stairs leading up to the building are still there, but you will only find a grass field at the top, with a few white arches. Today, when someone mentions Crystal Palace, it now primarily refers to the entire park – the area where the glass building once stood – but also the 200-acre Victorian Park. 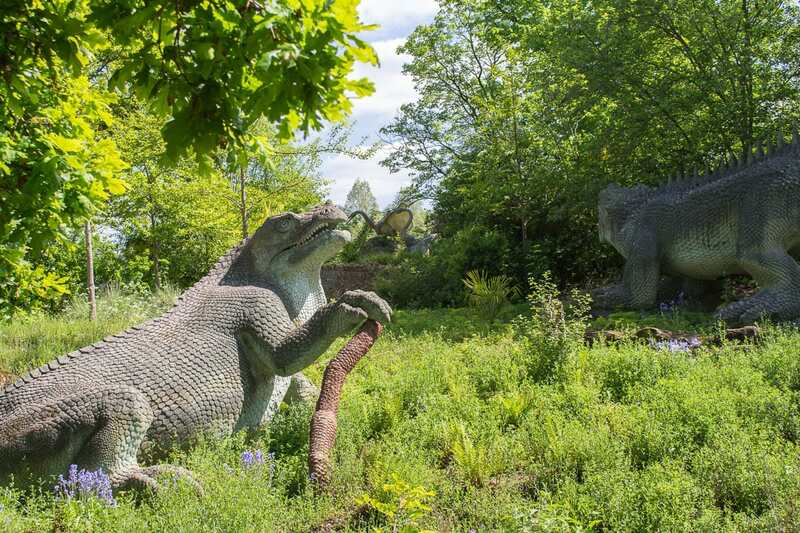 One of the quirky parts of the park is the dinosaur statue exhibition found around the grounds. These were made in the 19th century, when the Victorian world was captivated by the first finds of dinosaur fossils. Just bear in mind that most of these statues were loosely based on what had been found, as the creators really had no clue what the original dinosaurs looked like. London boasts many famous museums such as: the British Museum, Natural History Museum and the Science Museum. I love these museums, but unfortunately, most of the time, they are frustrating to explore. If you’re looking for a unique museum, away from the crowds, visit the Hunterian Museum near Holborn. 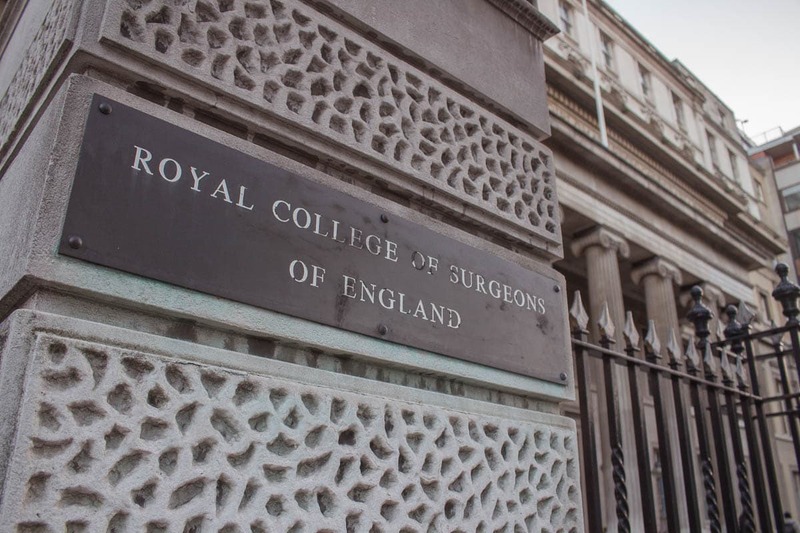 The museum is housed in the Royal College of Surgeons and holds human and animal anatomical items collected over four centuries, as well as surgical and dental instruments. If you’re looking for something different, but incredibly intriguing, this museum is definitely the one for you. I have like 2.5 days in london and another 1/2 day( doing a Paris trip in between) How do you think my itinerary should look like/? London: Typically Buckingham,Ben, Parliament, Eye, Tower of London, Traf Square, 10 Downing, St Pauls Cath, Wimbledon Tour…..
How do you think i should plan my trip out?